Poker is one of the oldest casino card games around. It has been through a lot, gaining global popularity thanks to its prevalence in high end casinos and a Hollywood image formed by characters like James Bond. There are now many different versions of the game, from group games like Texas Hold ‘Em with its high stakes, professional televised tournaments, to versions focused on the individual such as stud, five-card draw and three card poker. Casinos are constantly looking at new ways to attract customers, often turning to technology and innovation to draw the crowds. Business was booming in the late 1970s and casinos in Las Vegas were ready to spend a lot of money to get people through the doors. Technology was playing a bigger role in people’s lives and computers and video games were just starting to emerge as the next big thing. Casino owners spotted a gap in the market and invested heavily in companies like SIRCOMA who brought out the first video poker machine in 1979. Video poker has gone on to become one of the most popular games in the casino, with the added benefit to the casino that an expensive croupier isn’t needed to run the games. Video poker has evolved along with many other computerised casino offerings into the online world, with online casino websites such as the market leaders 888casino, now able to provide classic video poker to players with minimum effort. Many poker players have grown up with these machines thanks to their availability in not just casinos but arcades, bars and even roadside rest stops across the world. 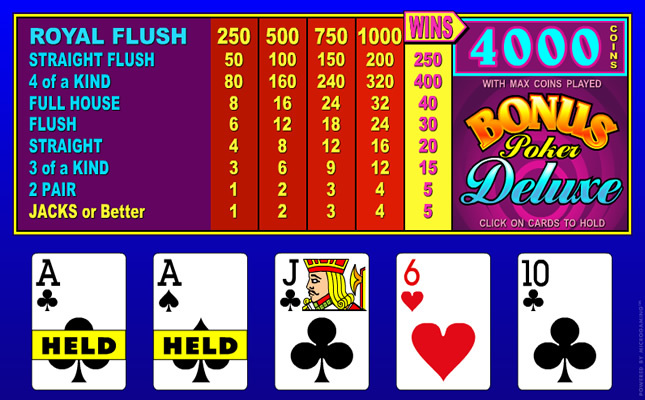 Although video poker is based on five-card draw poker, the transition from computerised poker to a live game such as Hold ‘Em can sometimes be a little more difficult. The key difference between video poker and a live game is that video poker is played between the player and the ‘dealer’, a piece of software that will use mathematical equations to take the game forward. The player needs to know how to play the game, but machines have a return to player percentage that means the player will always be down in the long run, unless they win the jackpot or use a strategy. Texas Hold ‘Em on the other hand involves multiple players all trying to outwit each other, making the game a bit less predictable and requiring more skill. With this in mind, group games are more like a sport. The best players in the world have honed their skills over time and can make a lot more money from league and tournaments than any video player can. For established video players, the key difficulties when transitioning from computer screen to table is undoubtedly the human element. Bluffing is one feature of group poker that doesn’t exist in the digital world. Players will tactically bet to ensure they either stay in the game or win a round, even if they have a poor hand. This is easy to miss when players are good at hiding their emotions and reactions. This also applies to when they are dealt a strong hand; try not to smile the next time you hit a flush whilst playing video poker and imagine having to do this in front of people. For some, nerves will come into play when they are put in a competitive situation, something that skilled players can recognise and take advantage of. Although the fundamentals are the same and video players will have a definite advantage over someone completely new to poker, there are still plenty of pitfalls to look out for when trying out your skills on humans.